Child support is money to cover a child’s living and medical expenses. Children have a right to have the financial support of both of their parents, whether their parents are separated, divorced, or were never married. Attorney Elizabeth Briceno-Velasco is here to help our clients establish, enforce and when necessary, modify child support payment agreements. If one parent is not working, but is capable of working to earn money, the court may assign income to that parent based upon their ability to earn. This is done in the interest of “fairness.” In some situations where one parent is not working or is working at less than their potential, the parent who is working at their capacity-to-earn may claim that the under-performing parent has the ability to earn more or is “under-earning.” The person making such a clam has the burden of proof and must show the court what the other parent could be earning. The use of vocational evaluation experts can be helpful in this area. In cases where one parent has periods of unemployment or fluctuating income, the court will average the income over a period of time. In cases where one parent may receive occasional overtime or a bonus, the court may order that parent to pay a percentage to the other parent if and when the overtime or bonus pay is received. Income From a Parent’s New Spouse – Usually the income of a parent’s new spouse is not considered by the court. Parents are encouraged to make a privately negotiated agreement as to the amount of support one parent is to pay to the other parent. In most cases, the court will accept such an agreement even if it different from what the court’s guidelines-based support calculations might determine. Child support is payable until a child reaches the age of 19, reaches the age of 18 and is no longer a full-time high school student, marries, becomes an emancipated minor or dies. The parents may agree on how to share the costs of college for a child, but a court has no jurisdiction to order a parent to contribute to a child’s college education. However, if the parents make an agreement regarding the funding of college, a court can then enforce that agreement. In addition to helping establish fair child support, we assist clients with child support enforcement, and modifications. With all family law matters, it is a good idea to consult with an attorney about the specific facts in your case. 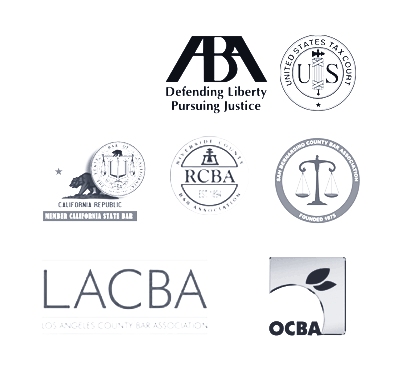 Our firm is ready to protect your rights and best interests. We welcome your call and, as always, we offer a no-cost, initial consultation to discuss your situation. The court will presume that the child support calculation determined by state guidelines or computer program is correct. However, a Family Law attorney can challenge those calculations and often persuade the court to order a different amount of child support or none at all by providing evidence that the proposed amount of support is inappropriate or unjust. We will help you understand your rights, obligations and legal options concerning financial support of your children. Then we will pursue the best possible outcome to your legal problem. If you experience a substantial change in your personal life circumstances, such as the loss of a job, major health issues, changes in custody, a remarriage, or the birth or adoption of another child, your court-ordered child support payments should change as well. We can assist you in petitioning the court for a modification in child support.